Since removal of particles larger than 5 micron does not provide required purity, this sort of purification cannot bring the oil condition to below contaminant saturation level. This brings about another problem: not all methods allow removal of contaminants from the internal surfaces of oil filled equipment without stopping the equipment (photo below shows oxidation products attached to the internal surfaces of equipment, including transformer windings). But you can regenerate transformer oil without deenergization only by using our new oil processing equipment. 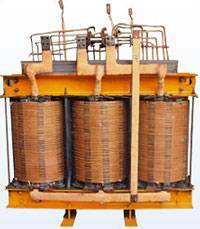 Solved contaminants subsequently form sediment in the transformer. Being chemically aggressive and having low heat conductivity, these oil aging products accelerate aging of cellulose insulation and increase dielectric loss. This parameter was improved from 0.00014 to 0.00001 by the superfine purification. Obviously, this method allows significant reduction of solved contaminant content, however, its initial content was far below the acceptable number.